Book tickets to The Nilgiris Road Trip - Long weekend special! The Nilgiris Road Trip - Long weekend special! Do you wanna explore the quaint little villages in Nilgiri mountain range? How about unwinding at 'out of the world' lakes like Emerald & Avelanche? A drive through absolutely amazing views of Upper Bhavani? 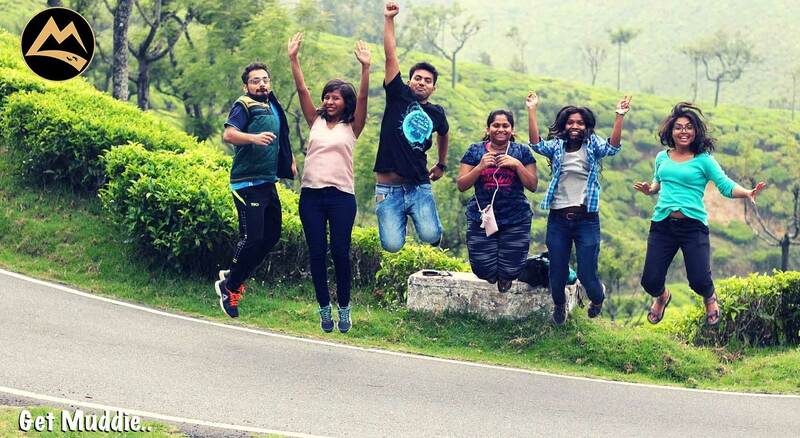 Take Bollywood style selfies amidst beautiful Tea estates? Get thrilled by Shola forests so dense that feels like even flys can't pass through? Get chilled and have garam chai in the mountains? Or just put your feet in a river stream & say "Life is beautiful.."
A little bit of wildlife maybe? About the destination: Nilgiris, one of the oldest mountain ranges, located at the tri-junction of Tamil Nadu, Kerala and Karnataka states of India. They are a part of the Western Ghats around Ooty the "Queen of Hill Stations". Nilgiris is India's first biosphere. It has been declared as one of the 14 'hotspots' of the world because of its unique bio-diversity. Rolling grasslands, dense shola jungle, waterfalls, streams, lakes, vast expanse of tea plantations, interspersed with vegetable gardens. Friday: Start from BLR around 9PM , overnight journey! Saturday: A picturesque drive into Nilgiris & tea estates, stop in the quaint little villages to experience the Nilgiris culture, touch the last village in Tamilnadu border, Tea estate nature walk, look out for Wild animals, enjoy the soul soothing tea in the remotest village. Campfire* at night with long conversations! Sunday: The dense Shola forest Protected Zone Safari, visit picturesque Emerald lake & Avalanche Lake and click hundred selfies! Drive towards Ooty and shop for famous Nilgiris Tea & home made chocolates and start back to BLR. Reach home around 10 PM. Stay: at our lovely homestay! The Nilgiris experience you will remember for long long time! Organizer from MT to look after all the activities and a hell lot of entertainment!!! Everyone must get their photo ID cards - like Aadhar or Driving License! Our itinerary is flexible & Organizer may choose to switch/re-arrange parts of itinerary based on need. Please co-operate with organizer & other travelers. Do not forget to read our "Terms & Conditions" before registering! Selfie stick or DSLR if you are interested. Don't carry expensive items. You are responsible for your own belongings. Mandatory :A photo ID card xerox- like Aadhar or Driving License - one of the organizers will check this before boarding. Carry your jerkin/sweater - it is very cold at night there " Dont carry liquor. There will be thorough checking before Bandipur forest checkpost and they will take away everything. Muddie Trails provides real offbeat experiences for the travelers like trekking, adventure activities, camping in tents, bonfire, barbecue, visiting exploring and experiencing the unknown but awesome destinations that are not crowded with tourists. We do NOT take travelers to a tourist place unless it is required as a "filler" in the itinerary between two offbeat places. Travelers are requested to refrain from asking our organizers to take them to ABC temple or XYZ church. The itinerary is already decided and posted based on our offbeat theme. Organizer will only change the itinerary if any place cannot be done because of unpredictable reasons. If you have a wish list of tourist places to tick off in your mind, then probably Muddie Trails is not for you and we request you please do not register. 3. We wouldn’t want to waste time in sitting at a restaurant and munch our food for hours during trips. This wastes our precious time. So we pack our food whenever possible to avoid unnecessary delays. 4. In some Meetups, especially treks involving wild forest, expect leeches and other insects. However we can take precautions to avoid them - we discuss these things in our trip's WhatsApp group. 5. Our itinerary is flexible. It may happen we do not cover all the places mentioned in the itinerary because of unpredictable reasons like weather, wild animal presence, abrupt blocking of sites by the forest department, delay in travel because of an issue with our group itself, traffic conditions etc. In most cases, if the time permits, we try to travel to an alternative place. But in some cases, we may have to skip a place altogether. 6. Absolutely no littering during our travels. We swear to protect our environment. 7. Please co-operate with the organizer in following the schedule set for the day (especially getting up and getting ready in the morning). This will ensure we won't miss out on the real fun part - that is traveling. 8. You are responsible for your own safety while traveling with Muddie Trails. Don't indulge in any illegal or silly activity that causes harm to you or fellow travelers. Expect the unexpected in case of wild forests like the sudden closing of trek path by govt/ forest department(because of wild animal sighting/landslide/some crime), in which case we may have to cancel the trek (This is very rare never happened till now). In this case, the Organizer will plan for alternate trek/trip. If this is not possible then Muddie Trails will refund the remaining amount after removing the travel cost. 90% refund if you make a request before 3 days of the meetup start date.